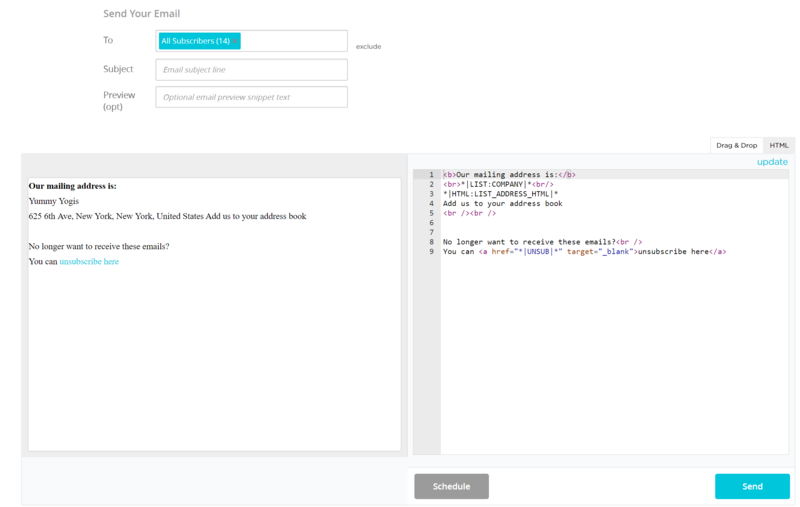 If you're building an email with custom HTML, you will need to add your physical address and unsubscribe options manually. And will look like this in the email. As yet, the only other merging tag available in Custom HTML is your subscribers' name.